Today, we celebrate Maine’s historic vote to expand Medicaid (MaineCare). The margin of victory (59 to 41 percent, as of this writing) and geographic distribution of votes (supportive communities stretched from towns bordering Canada all the way to southern Maine) clearly demonstrate that Mainers believe access to health care shouldn’t depend on where you live or how much money you earn. Tuesday’s vote means more low-income folks will benefit from a full range of critical health care services, including family planning and reproductive care, and thus brings us closer to realizing our overlapping goals of reproductive and economic justice. Mainers for Health Care, the organization behind the campaign to expand Medicaid, said despite LePage’s bluster, he can’t stop the expansion train without violating state law. Meanwhile, we must remember that until women can use their Medicaid coverage for all the medical services they need—including abortion—this victory remains incomplete.And so we’ll continue our battle to overturn the state’s ban on Medicaid coverage for abortions. We’re fighting because the right to an abortion is meaningless if low-income or rural women can’t access one. 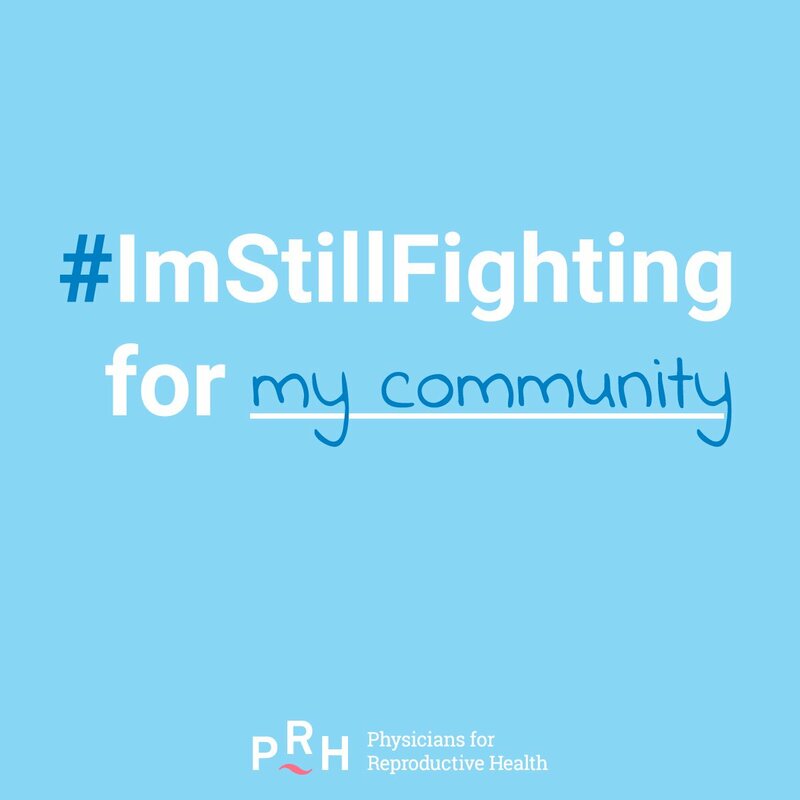 It’s appropriate that we participated today in the #ImStillFighting “tweetstorm” organized by Physicians for Reproductive Heath, marking one year since Election Day 2016—a year that has seen a wholesale assault on reproductive rights, the family planning safety net, and women’s health care.